The 7820 date code on the side suggests they’ve been in the heap basically forever, although some fractions of Teledyne still exist and you can apparently buy the same relay today at 50 bucks a pop. 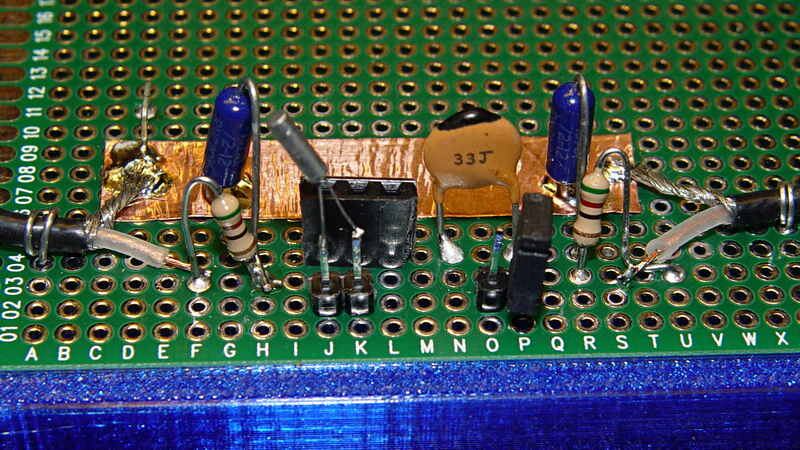 It’s definitely overqualified for this job and you can surely get away with an ordinary DIP DPDT (or, heck, even SPST) relay. It seems I picked a hyper-bright white LED: the red ink tones it down a bit. Black might be more effective. 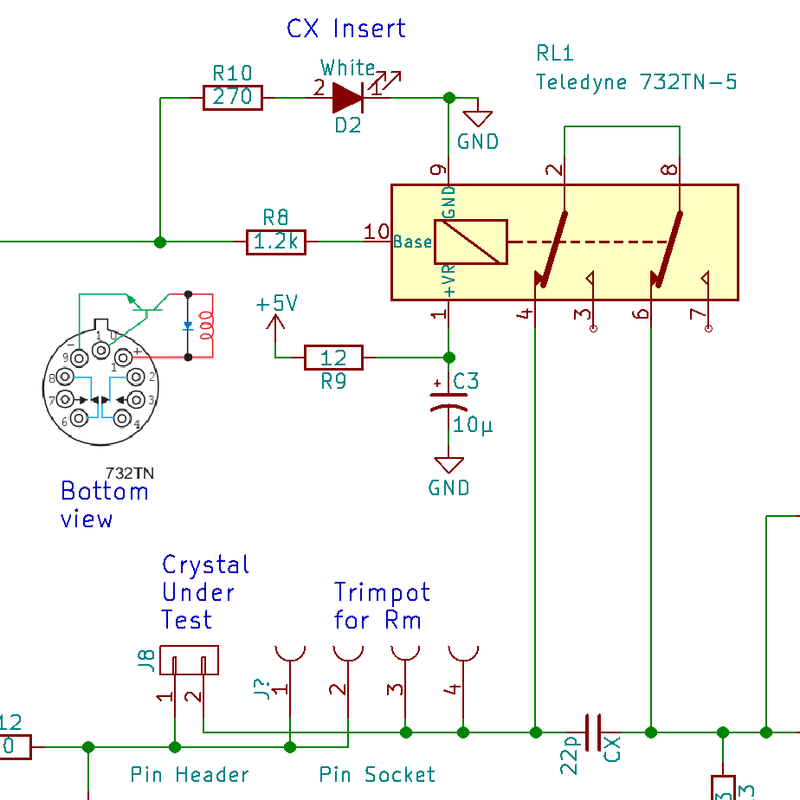 A diffused LED may be in order. 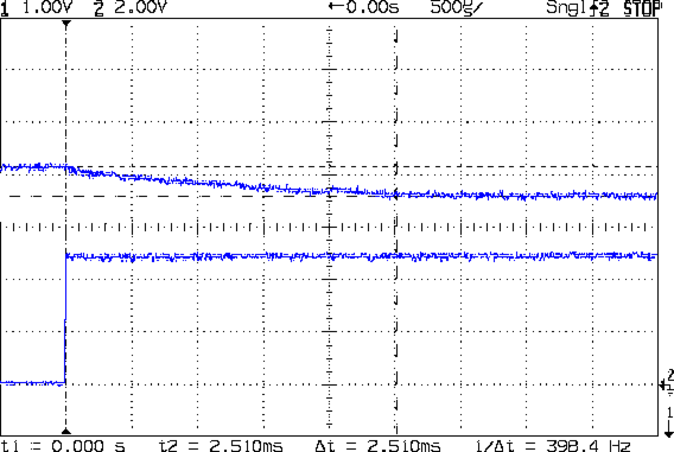 The 560 mV drop suggests a 47 mA coil current through the 12 Ω resistor, just about spot on for a 100 Ω coil. 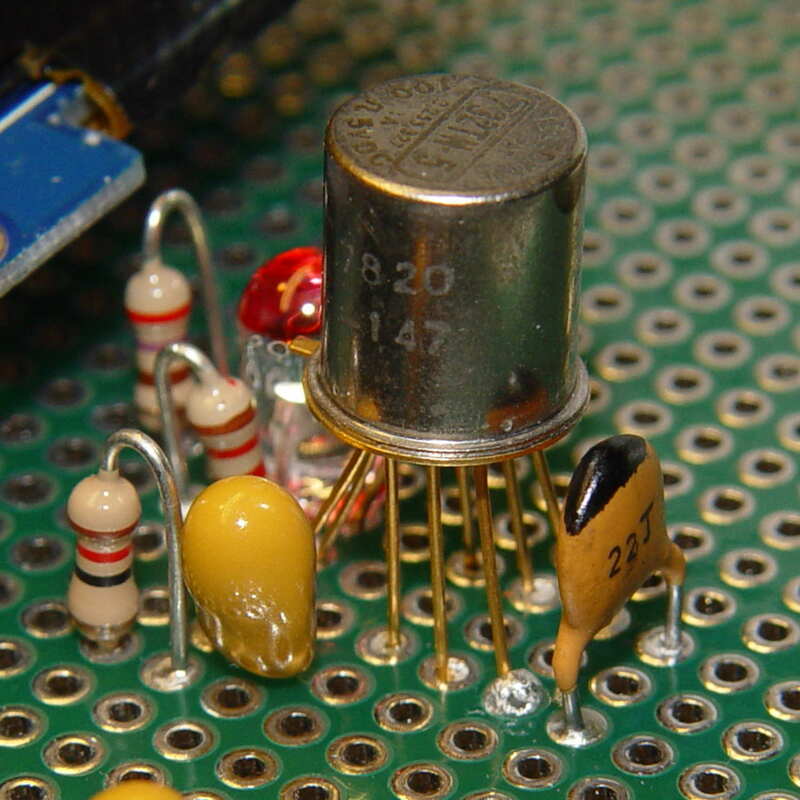 Note the 1.5 µs delay from the falling control input to the relay opening. Granted, it’s running at 4.7 V, not the rated 5 V, but that’s still rather peppy. 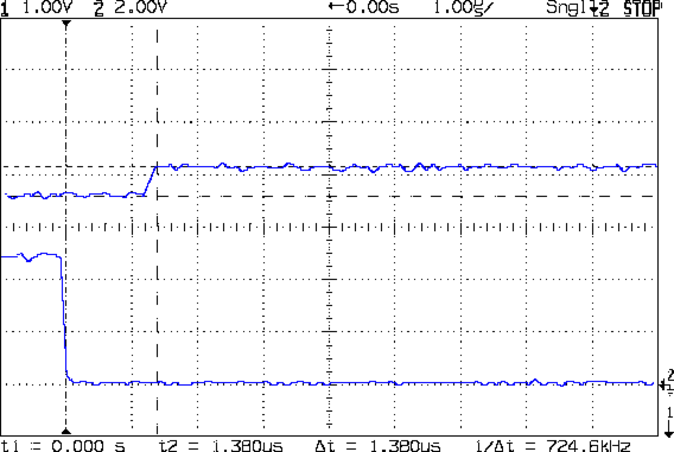 The turn-on delay seems to be about the same, making the datasheet’s “6 ms nominal” operating time look rather conservative. Dang, that’s a nice gadget!